When I use Biomes O' Plenty, amphitheres spawn like crazy even when spawn settings are at three. No, the pic won't show...because that's the file path on your computer. You didn't actually upload anything. I found something is wrong when I translate my language. Even if you set a different language, only English will appear in the bestiary. I have an idea : it is the griffin, it would be larger than the hypogriff and a little more rare and would have nest hidden in the mountains with little ones in it that would wait for the return of their mothers. And in the nest there would be a treasure with scarce resources that will take quickly before the return of the griffin. Ps : sorry for my english, i'm french. have a good day, Bye bye. Removed the mod because unfortunately the dragons seems to spawn at an absurd rate throughout my world and destroy buildings with fire endlessly, even while in peaceful mode I was attacked. My point exactly, I sense the sarcasm but in the mod options menu, the config button for this mod is unclickable: I've already checked. 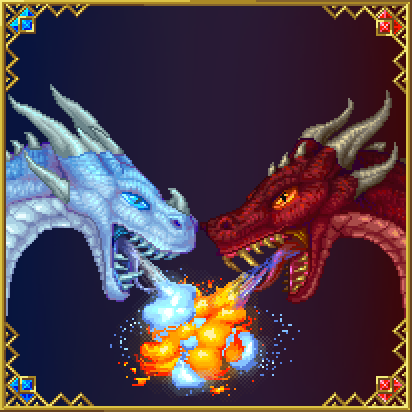 Even if I could alter the spawn rate values how do I make it so dragons don't spawn or attack while in peaceful mode? Most people just edit the configurations directly from the folder. So there's a pretty pesky bug that a friend and i have just encountered. It turns out that if you're flying around on your dragon, and then get hit with the sirens song, your dragon completely disappears. First it happened it him, and we spent a solid hour of him running around looking for it and me flying around on my dragon looking for it. Well, i flew near some sirens and it happened to me as well. So my dragon disappeared, his disappeared, and now we're just sad. I know this comment will be lost in the sea, but I'd highly suggest finding a way to make it where these to mobs don't have this type of interaction seeing as it's pretty difficult to find and kill a tier 4+ dragon. If you set them to wander and then reload your world they will breed after feeding them. There seems to be some sort of bug where if you derender and animal that is sitting it wont respond to commands until you reload the world. Are you fricking kidding me? So I used up a stack of stew for nothing? I have a problem, I don't see the fire breath and ice breath particles and any other particle, including vanilla minecraft ones.